Looking for a 360 degrees holiday destination? Choose Malaysia because this is where you will find a bit of everything. In fact, look no further, you get a lot of everything.. and MORE!! Weather – humid and warm all through the year, you need not have to worry about the time to come to Malaysia. Any time of the year is fine. Get to the highlands if you like to just enjoy cool weather without doing anything rigorous. Sip a cup of tea at the Boh Plantations in Cameron Highlands or visit Frasers Hill for a walk along the cool wilderness. Otherwise, you can visit the Johor Premium Outlets and Genting Premier Outlets to enjoy some branded shopping at discounted prices. If you are an avid shopper, head out to Langkawi and some other parts of Malaysia which are tax-free zones where you can buy products at zero-tax prices. 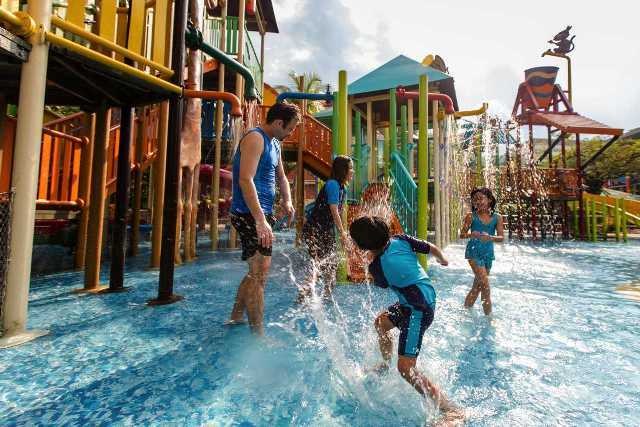 Most of the theme parks are reasonably priced with world-class facilities and services. If you have been amazed with architecture designs and structures, you are in for a treat in Malaysia. Visit the Petronas Twin Towers, be enthralled by the Moorish architecture of the former Kuala Lumpur Railway Station, marvel at the National Mosque or the traditional Minangkabau homes in Negeri Sembilan. This means that you get to see some of the most modern skyscrapers being housed within some very traditional and refurbished structures blending just perfectly. This one surely takes the cake for anyone who likes food. You will find a lot of hawker centres and buffet options around the country. Jalan Alor and Jalan Pudu are among the places you can go to enjoy a bit of different types of cuisine of Malaysia. Otherwise, if you are in Penang, visit Gurney Drive or just about any coffee shop and enjoy the best local foods. One thing to note is that Malaysians love their food. Hence, you should look to learn more about the local cuisine like the Nasi Lemak, Teh Tarik, Satay and others. You can first choose to visit Museums to learn about the rich culture and history of Malaysia. In almost every state, you will find a state museum or visit the National Museum of Malaysia in Kuala Lumpur. Besides that, you can visit more specific ones like the Army Museum, Cat Museum or even a Paddy Museum. Indulge into the historical culture in Langkawi Island or into Malacca city. If you are into the arts and performances, there are a lot of centres like klPAC, AMPac and others that offer shows and plays throughout the year. The rich rainforests in Malaysia means you get to be really close to the best of flora and fauna of the world. The Kinabalu National Park, Taman Negara and tens of national parks around the country means you get to choose just any form of nature to visit. Besides that, there are zoos and animal parks where you get to check out the best of wildlife in Malaysia. There are literally thousands of islands around Malaysia to indulge into some sea life. Snorkelling is a common activity in the island where you get swim among the shallow seabed and be close to the living organism. Otherwise, take a deep sea diver’s license and go for a dive into Sipadan Island, famed as one of the top spots in the world. If you are more into the extreme sports, then you can find quite a lot of options to choose from around the country. After all, you are not limited to just visiting extreme parks with climbing walls or trampolines. Go to Batu Caves for one of the best limestone rocks to climb or indulge into paintball, which is just one of the many types of sports to choose from. In Malaysia, you get to play all types of sports to your hearts content. You will find international golf course around major cities like the Kuala Lumpur Golf and Country Club or you can visit the driving ranges. Besides that, you can enjoy other types of sports like archery for fun, bowling, squash and among the country’s favourite sport, badminton. You will find some of the world’s best hotels and resorts around Malaysia. Whether you are visiting the location for business or leisure, you can find budget accommodation options operated by the locals or international chains like Ibis Hotels or some renowned names like Shangri-La and Hilton hotels. Resorts are found at islands and popular tourist destinations where you get all the best facilities within one roof.